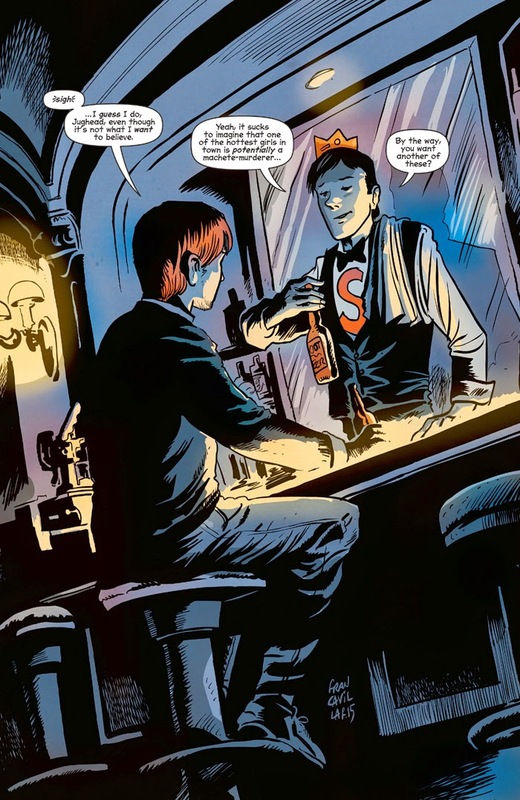 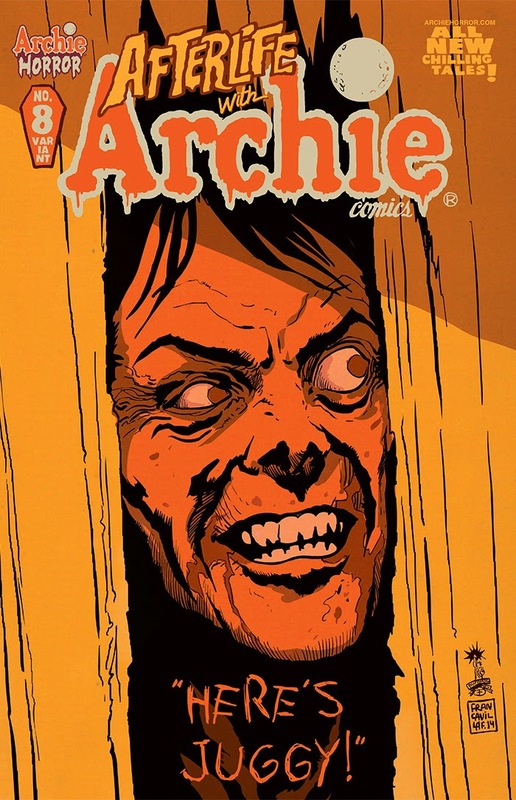 The Fellowship has obtained a first look at AFTERLIFE WITH ARCHIE #8 from Archie Comics. 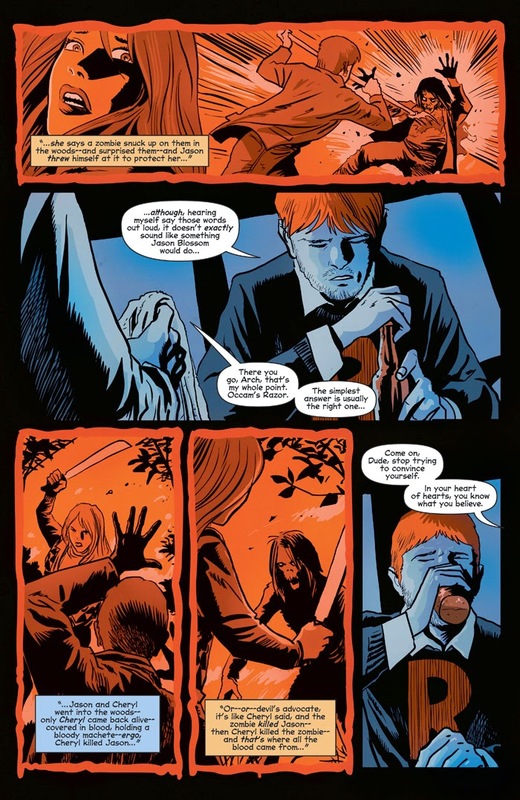 The issue, which hits stores May 6th, is written by Roberto Aguirre-Sacasa with art by Francesco Francavilla and Jack Morelli. 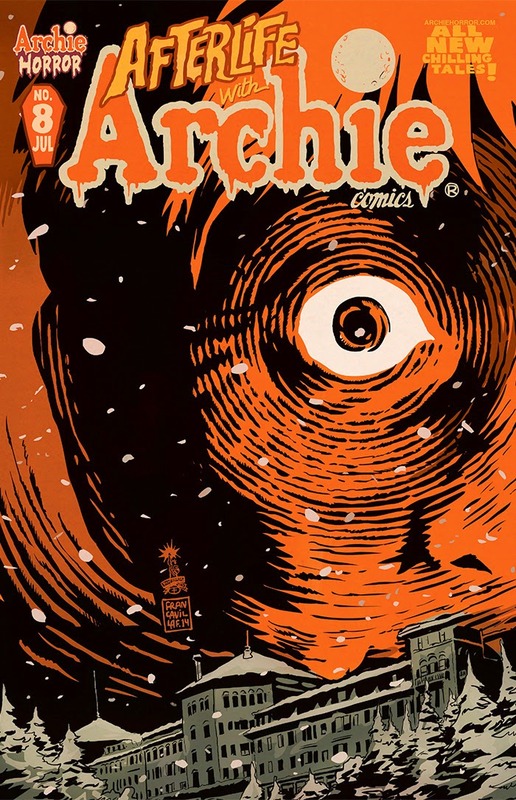 The cover and variant is by Francesco Francavilla. 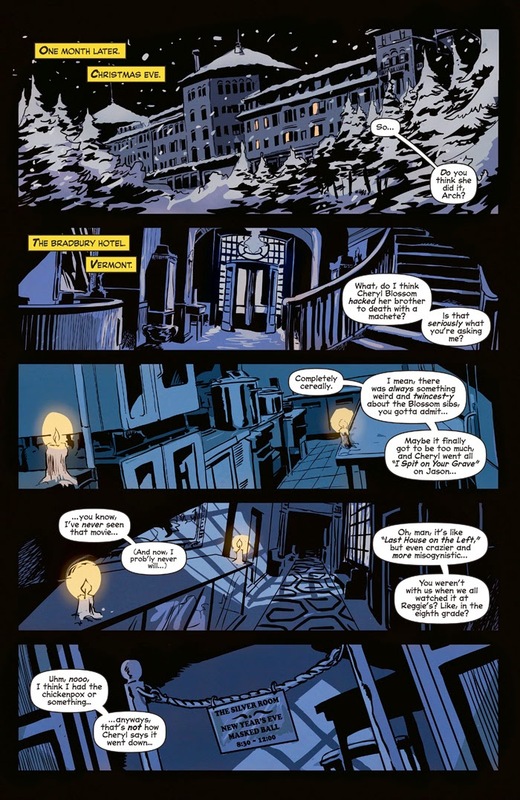 “A Ghost Story." 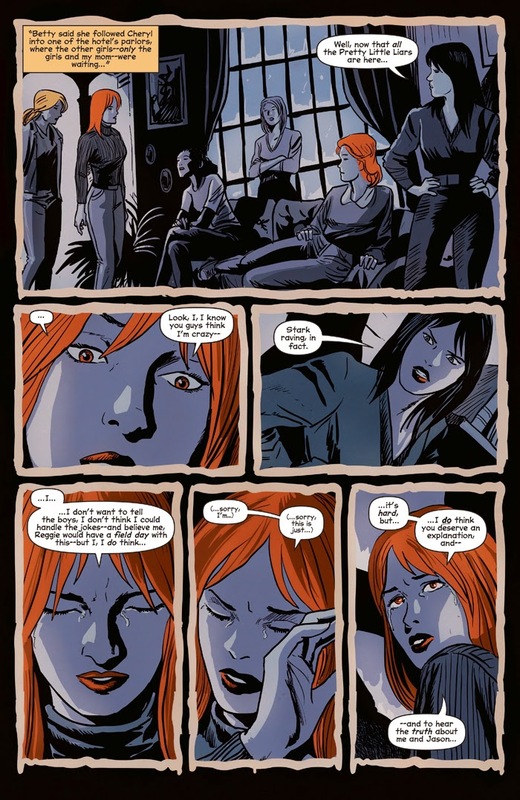 Contrary to popular belief, the current zombie outbreak is not the first time a shadow fell across Riverdale and its citizens. 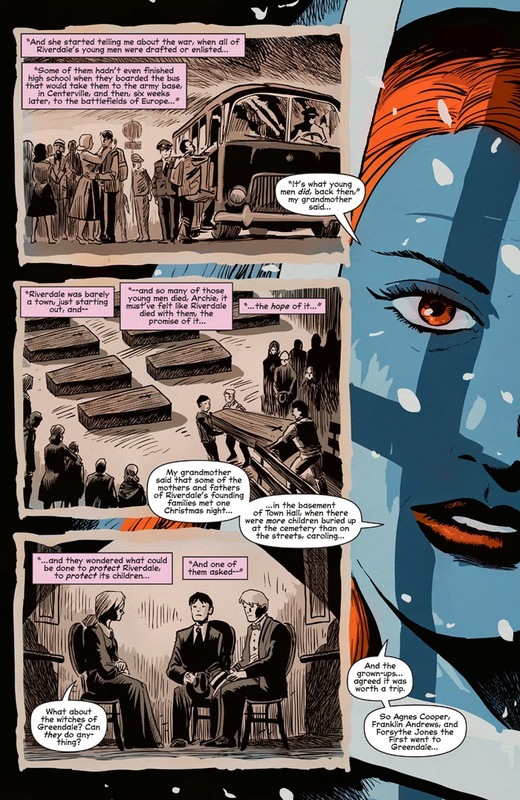 As the survivors hunker down in a hotel to wait out a snowstorm, Hiram Lodge and Mary Andrews relive the darkest chapter of their town's history. 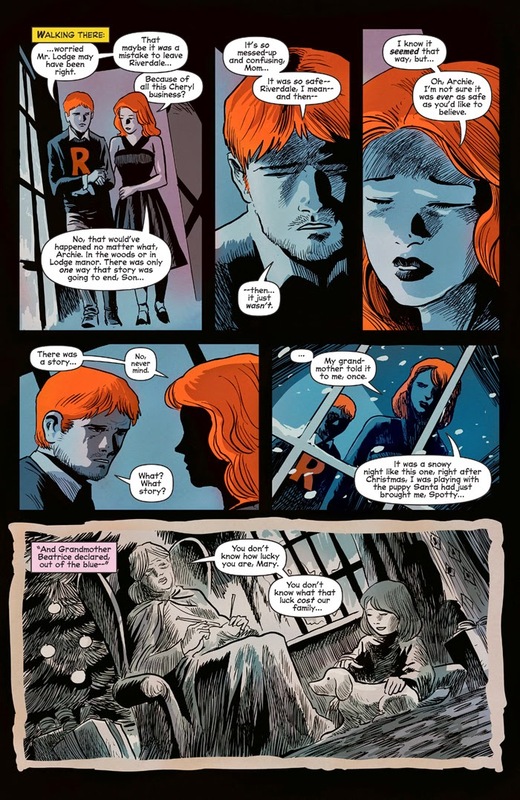 Ten years ago, the adults of Riverdale struck a terrible bargain with the witches of Greendale, setting the stage for the present-day apocalypse.